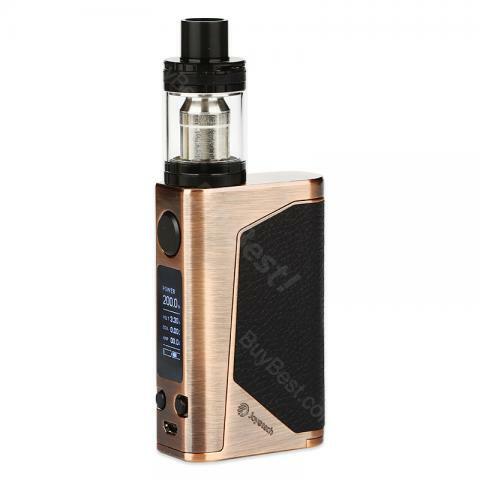 Joyetech eVic Primo Vape Kit includes 5ml Capacity UNIMAX 25 tank, BFXL series heads and 200W eVic Primo Box MOD, which has 200w max output power, supports VW/VT/ TCR/ USB Charge mode. eVic Primo kit is one the most popular vape kit from Joyetech, this kit includes UNIMAX 25 tank 5ml Capacity, BFXL series heads and 200W eVic Primo Box MOD, which has 200w max output power, supports VW/VT/ TCR/ USB Charge mode. The eVic Primo offers the latest quick-charge and equalizing charge technology, capable of supporting 1.5A current. it’s well worth it if you care about the speed of your mod charging effort. Iit can be powed by dual 18650 battery, 510 thread can match for most tanks, there are 5 colors to choose. • It doesn't come with liquids or 18650 battery, you shall buy it separately. • It is compatible with BFL/BFXL Kth DL Head. Best price, best product, best shipping. This is Buybest. This is a good product for beginners. I'm still trying its functions. Recommend it. After heard many good things about evic promo mod, so I purchased this kit. The unimax tank is well designed to filling. It is a good bargain to buy a kit here. Nice product. The unimax 25 tank features in top filling and top airflow. It gives me good vaping experience. It totally worths the price.